One of the ultimate baseball Rookie Cards, these are always so popular among collectors. Fresh to market, offered is a glorious mid-grade card. This card stands out in a crowd with its amazing centering color. There are no print issues, the image is outstanding, the borders are clean, the back is clean. We could not see any creases or wrinkles, even under magnification. The corners show mild wear, we presume that is why this came back a 4.5. 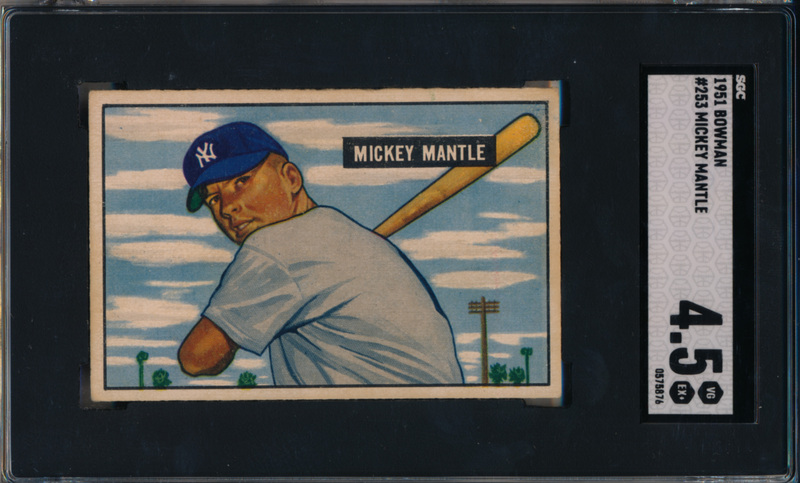 The offered card has among the best overall appeal that you will ever find on a 51 Mantle.